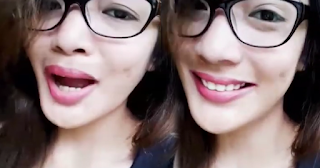 Watch Why This Girl Gone Viral After Giving Her Statement About Girls Who Wear Make Ups! If you ask a group of women with this kind of question – "Why do women wear makeup?” you'll get various answers base on their perspective and preferences. They also have their own reasons on wearing cosmetics; maybe one of the reasons is to enhance her beauty. To look attractive and glamorous is included in the list and many claimed that it adds confidence in their system. A Facebook user Meiko Montefalco lists down some of the reasons why women wear makeup. Watch and enjoy!